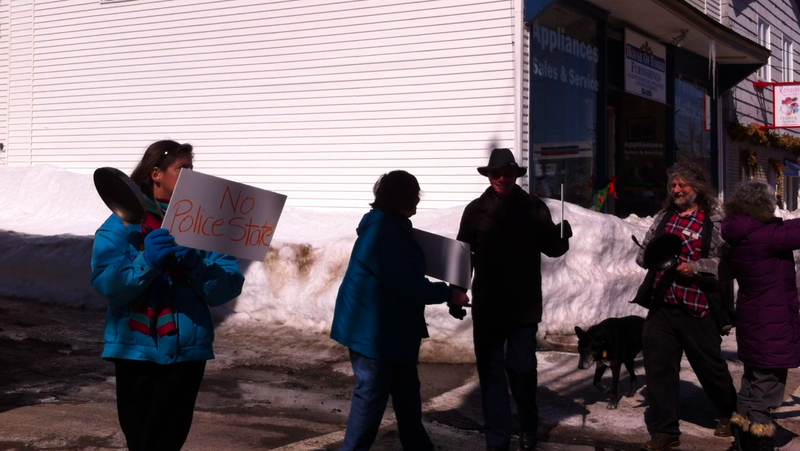 As part of the Defend Our Freedom national day of action to stop the Secret Police Bill C51 from being enacted into legislation, Parrsboronians & Canadians are courageously standing up against this act of fearmongering and Stephen Harper’s attempt to limit our freedoms. This is a reckless, dangerous and poorly thought out piece of legislation which will restrict our rights of free expression and allow for censorship of debate. 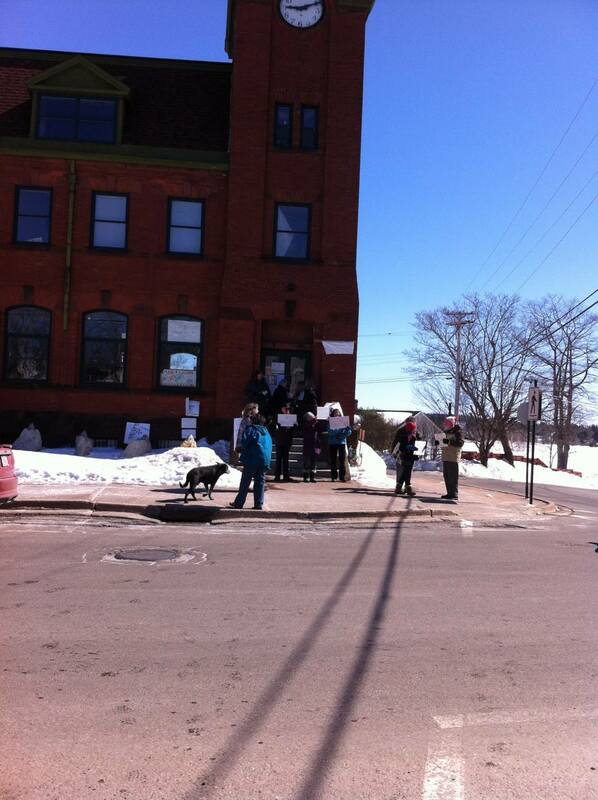 The Defend our Freedom national day of action happened on Saturday, March 14th, noon-2PM at Main & Station Nonesuch Kickshaw (The old post office) 168 rue Main Street, Parrsboro Nova Scotia and over 70 other key locations across the country. We gathered to send a message that while the politicians are debating the bill in parliament, there are more and more Canadians that find this bill as presented not acceptable and an attack on our already compromised freedoms of expression and our right to protest any injustice. Although he was invited, the Prime Minister did not attend. 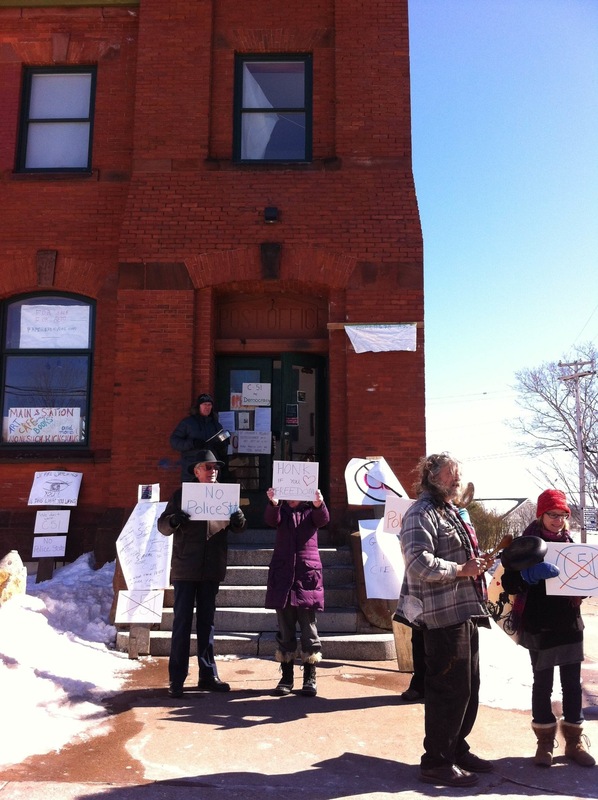 This entry was posted in Community, Events, News Gossip & Local Colour, What the neighbourhood looks like and tagged Antifascist, billC51, Defend Our Freedom, National Day of Action, Parrsboro, Secrecy by Admin. Bookmark the permalink.